Nigerians Muslims have joined others across the world to celebrate Eid-El-Kabir, a day set aside to commemorate the willingness of Prophet Ibrahim to follow Allah’s command to sacrifice his son, Ishmael. Also known as the “Festival of Sacrifice”, Eid-al-Adha is the second of two Islamic holidays celebrated worldwide each year and considered the holier of the two. The day begins with congregational prayers by Muslim faithful, followed by the slaughtering of animals, which could be a sheep or a goat, the meat of which is shared among friends, family, and the poor. To allow Muslims mark the day, the Federal Government had declared Tuesday and Wednesday as public holidays. Across the country on Tuesday morning, Muslims trooped out to Eid prayer grounds for the prayers. 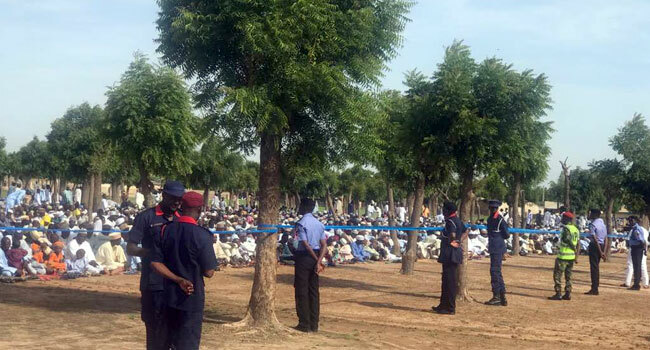 In Daura, Katsina State, where President Buhari is marking the special occasion thousands also joined him at the Eid ground for prayers. In his Sallah message to the nation On Monday, the President called on Nigerians to rise above personal, group, sectarian and other interests and promote peace and unity in the country. President Buhari also urged all Muslims to use the Eid-el-Kabir celebrations for sober reflection and self-examination, as well as strive to be good ambassadors of Islam by upholding high moral values. He reminded them that the occasion is a remembrance of the submission of Prophet Ibrahim to Allah, his Creator, by which he taught the world the value of sacrifice in relating with one another, and when it comes to nation-building. “We must sacrifice for others and remember always those who are less fortunate than ourselves,” the President was quoted as saying in a statement by his Senior Special Assistant on Media and Publicity, Mr Garba Shehu. Senate President Bukola Saraki also issued a statement urging Nigerians to remain united and to use the occasion to pray for peace in all parts of the country. 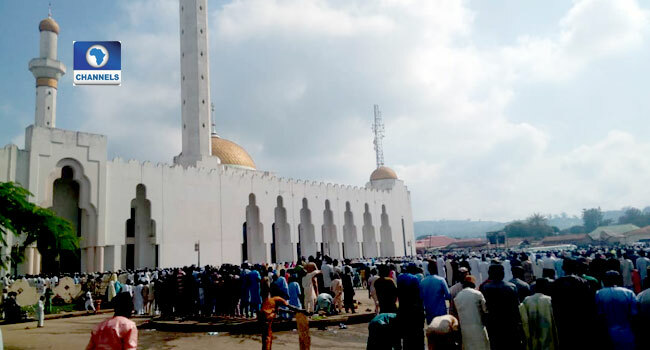 He commended Muslims on the celebration of the 2018 Eid el-Kabir festival, describing the occasion as “a period that honours the willingness of Prophet Ibrahim to sacrifice his son to show submission to Allah’s command”. “As we have read from the Glorious Qur’an, just when Ibrahim was about to kill his son Ishmael, Almighty Allah (SWT) put a sheep in its place,” Saraki said.